The Mini, one of the most enduring designs of the automotive age, was created in 1959 by the British Motor Corporation’s secret research team, staidly named the Amalgamated Drawing Office. Nearly 60 years later, the Mini marque (now owned by BMW) is expanding its horizons beyond just vehicle manufacturing as it sets its sights on the ‘slash generation’ (ie, multi-skilled Millennials) with a completely new venture in New York. A/D/O is a creative space/design academy/retail zone/café, bar and restaurant dedicated to exploring new boundaries in design. 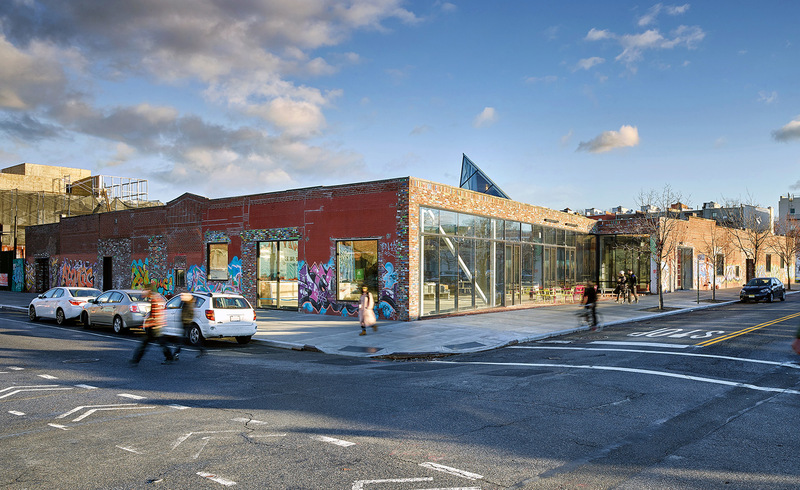 Brooklyn-based nArchitects has converted a former warehouse in Greenpoint into a creative hub for both the local and international design community. Intervention has been kept to a minimum. Distinctive original elements of the single-storey building have been preserved – fragments of the murals on the facade are now rearranged into what the architects call ‘reconstituted graffiti’. Inside, the brickwork, exposed beams and other original features have been kept in place. Large, street-facing windows have been installed to allow in daylight and to blur the boundaries between public and private space. 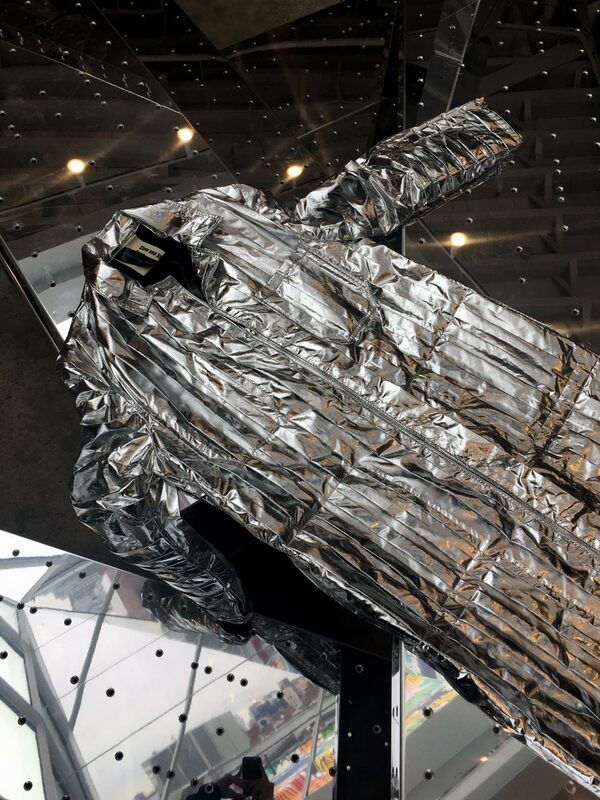 A signature new structure, the ‘Periscope’, a 16-ft-high prism-shaped skylight made by local Caliper Studio, features mirrored surfaces that reflect the cityscapes in both Brooklyn and Manhattan. The 23,000 sq ft space has been fitted out for different functions. The Workspace is a studio and fabrication lab for A/D/O members to enjoy for a fee, while the 5,000 sq ft open space allows public access, to encourage conversation between creatives. At the main entrance, a shop presents a unique assortment of designs from throughout the world, and Norman, a morning-to-evening food concept by Swedish chef Fredrik Berselius (of Brooklyn’s Aska) and Claus Meyer (co-founder of Noma in Copenhagen). The driving force behind the new venture is the Design Academy, which offers thought-provoking programmes for professional designers. The inaugural season began this week with ‘Utopia vs Dystopia: Designing Our Imagined Futures’. The three-day festival will discuss topics such as major cultural disruptions, artificial intelligence, automation and new production technologies. To find the answers, Mini also partnered with venture fund SOSV to create Urban-X, a start-up accelerator for designer entrepreneurs, which aims to shape the future of our world through innovation and technology.